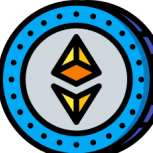 ethercrash.io Your favourite and most trusted Ethereum crash game is back and brought to you by Perchlorate and M1C4A3L and most of the old EthCrash team How to Play? Place a bet. Watch the multiplier increase from 1x upwards! Cash out any time to get your bet multiplied by that multiplier. But be careful because the game can crash at any time, and you'll get nothing! Why choose us? While the rules and math are exactly the same as the original BustaBit, ethercrash is built to be played with Ethereum. This gives you much lower transaction fees, confirmation times, and the ability to play almost instantly! Also, ethercrash now runs on lower house edge since BaBv2 has been released! Bankroll We raised over 1'100 ETH in less than 2 hours for our bankroll! Investments are currently closed. (Hard cap reached) How do I deposit Ethos? This could be confusing but our "ethos" is 1 millionth of 1 eth. 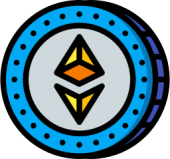 - 1000000 ethos = 1 eth - 100000 ethos = 0.1 eth - 10000 ethos = 0.01 eth - 1000 ethos = 0.001 eth You can find your ethereum deposit address in your account page (https://www.ethercrash.io/account) Provably Fair https://medium.com/@nekoz/generating-a-provably-fair-crash-point-8d502058e8bc <-Here you can read how our crash points are generated. https://jsfiddle.net/m1c4a3l/hx1sogpk/1/embedded/result/dark <- Here you can verify every game hash.